In 1855, shortly before the Civil War, the U.S. Army launched a great camel experiment. They allotted $30,000 for the purchase of camels from Middle Eastern countries for military purposes. 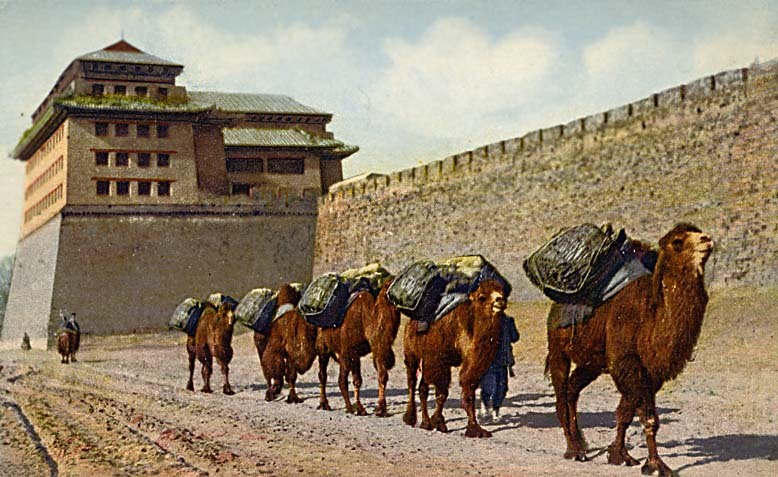 Military officials believed that camels were key to the Army’s expansion in the Western U.S. The land and climate were ideal—much like the camels’ homes in the deserts of the Middle East. A transcontinental railroad hadn’t been built in the U.S. at the time, and camels seemed the ideal solution to hauling supplies between distant military posts. By 1857, the Army imported 75 animals. In 1857, some of the new camels were assigned to an expedition reaching from Texas to an army post just north of Los Angeles—a trip of more than 1200 miles. The journey was made in the heat of the summer through hot, dry deserts. With little feed or water, the camels also had to navigate high mountains near the West coast. They clumped around curvy mountain roads facing steep drops over cliffs and escaped without a single accident. Wherever they went, the camels were hardy experts. Despite predictions of disaster, both the army troops and camels arrived at their Los Angeles destination in good health. After this, the Army put the remaining herd to work at outposts in Texas, helping military explorers search for routes along the Mexican border. The camels’ success worried the mule lobby in Washington who feared for their business in the West. Lobbyists worked hard against the camels. If the mule lobby didn’t ruin the camel experiment, the Civil War did. After Texas seceded from the Union at the beginning of the war, Confederate forces seized the camel herd. All the camels were then turned loose to survive on their own. Some wandered as far as Arkansas, were caught by Union forces, and were sold at auction. Other freed camels wandered down to Mexico. By late 1863, in the midst of the Civil War, the camels that had journeyed to Los Angeles had gone without work for more than a year. Most were sold at auction to a Nevada company to haul salt and mining supplies. The camels remaining in California were sold to zoos, circuses, and even back to the company from which they were purchased for the expedition. The fates of a few Army camels were traced. One was a white-haired camel named Said, which became the prized riding camel of the leader of the expedition to Los Angeles. Unfortunately, Said was killed by a younger larger camel in his herd. A soldier, who also served as a veterinarian, arranged to ship Said’s body across the country to Washington, where it could be preserved by the Smithsonian Institution. The bones of that camel are still in the collections of the National Museum of Natural History. Wild camels did survive in the desert, although not enough to support a thriving wild population. Sightings, while uncommon, were reported throughout the region up until the early 20th century. Because they were rare, they almost always made the news. 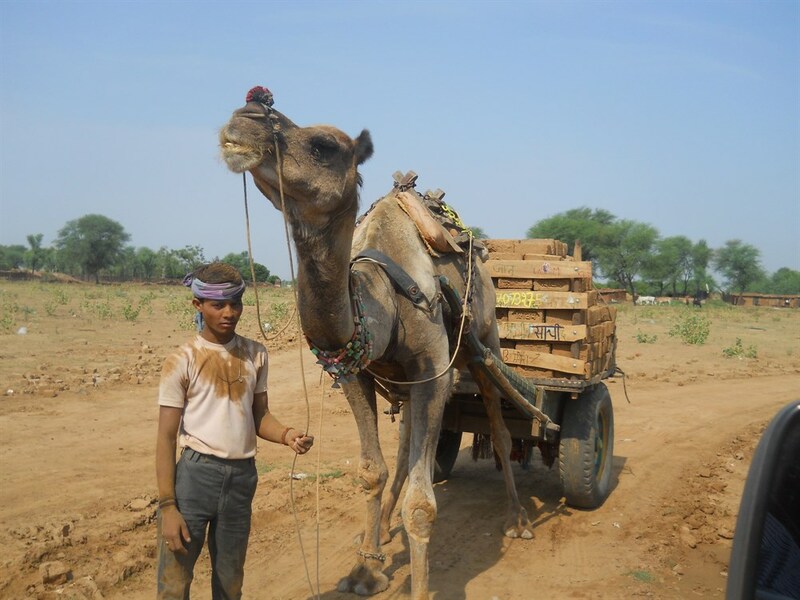 One ranch owner kept working camels for years. He found them hard-working, reliable, and cheap to maintain. Neighbors often saw him working his camels about his ranch and even making pleasure trips with them. The whole family used the camels for transportation.